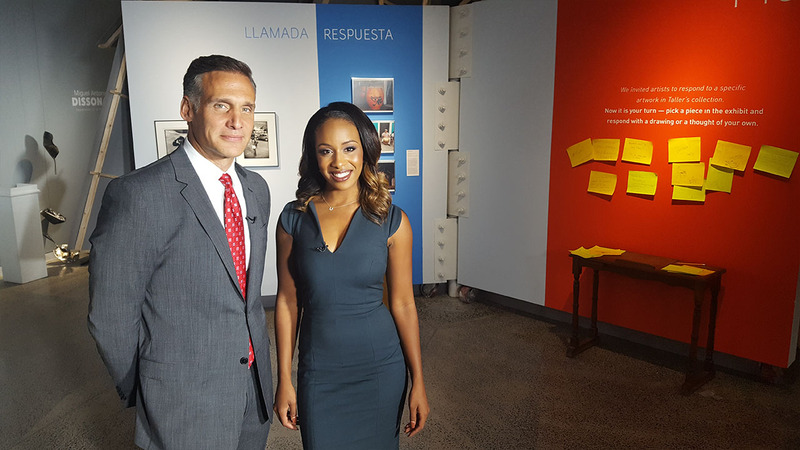 Visions 2017 celebrates Hispanic Heritage Month with a look at culturally relevant stories in Philadelphia. With Puerto Rico suffering from Hurricane Maria, learn how a group has formed to offer some relief. We meet a local woman impacted by the uncertainty of DACA and the laws regarding immigration. See how Jose Garces is trying to help those making the transition to a new country. Sports have always brought people together. Philadelphia's Unity Cup is a soccer tournament where teams represent their nation. Plus, we visit the Philadelphia Phillies and their lineup with Latino flare and international handball superstar Wally Amaro is giving back to the neighborhood where he grew up. Visions airs Saturday, Sept. 30 at 7:30 and Monday Oct. 2 at midnight. The Hispanic community in Philadelphia is doing everything it can to help victims of Hurricane Maria. After Hurricanes have crippled the island of Puerto Rico, a local group has come together to help the island recover. Walter Perez tells us how they are making a difference. An important issue for the Latino community is immigration. With changing laws adding tension and uncertainty for local families. Immigration reform is leaving some in our local region uneasy. Jeannette Reyes tells us how the changing landscape is affecting those involved. Iron Chef Jose Garces' desire to give back has caused him to create the Garces Foundation. The Garces Foundation provides free healthcare and educational services to help improve the quality of life of Hispanics in the Philadelphia region. Ilia Garcia, from our sister station Univision, brings us to their English as a Second Language classroom to learn more. The Phillies' Latino players are leaving an impression on and off the field. Walter Perez shows us how Latinos are having a greater influence on the Philadelphia Phillies roster and how that's impacted the community and the fan base. The Unity Cup is a chance for people of all countries to come together over the game of soccer. Philadelphia International Unity Cup is a chance for people from all nations to come together over the beautiful game. Jeannette Reyes shows us how soccer is uniting Philadelphia's immigrant community. In a story that confirms hard work trumps all, Ilia Garcia introduces us to Kamikaze Rivera. Pro boxer JD "Kamikaze" Rivera trains today's youth to be warriors in the gym and in life. Ilia Garcia, from our sister station Univision, takes her turn in the ring at the Warrior Boxing Academy. Wally Amaro is an international superstar in single-wall handball. Wally Amaro is one of the top ranked single wall handball players in the world. His star turn started in north Philadelphia where he has returned to help kids in that neighborhood thrive. On Phillip Street a local artist has provided another resource for the community. We visit a nail salon, where hugs and coffee are always free, and an authentic Puerto Rican Bakery. An authentic Puerto Rican Bakery and restaurant and an award winning salon serving artisanal Colombian coffee. We visit a ballet company with Cuban roots. The Pennsylvania Academy of Ballet has called Narberth home for 43 years. But their story begins in Havana. Ilia Garcia, from our sister station Univision, tells us how Cuban immigrants created a top ballet academy.